On most days, when doctors dispense healthy living advice, they’re likely greeted with a nod or some version of, “You’re right, I should do that.” It’s probably not often that they’re treated to a thank-you video and healthy living chant. 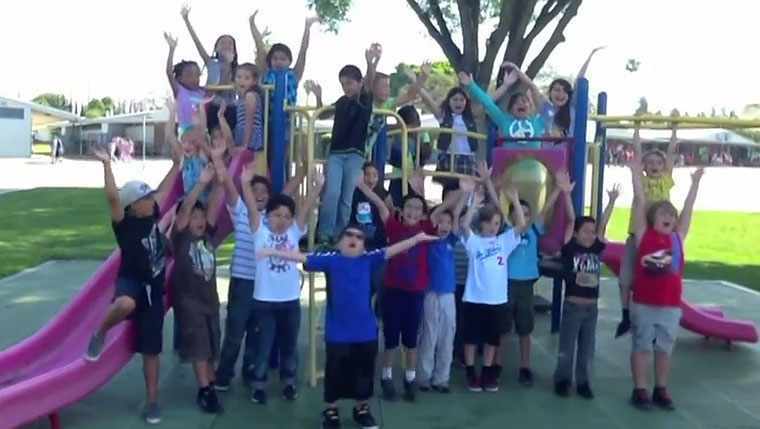 But then most of us don’t have the enthusiasm of Ms. Nyema’s second grade class at La Pluma Elementary School in La Mirada, California. It seems the students had the pleasure of a visit from Mayo pediatrician Phil Fischer, M.D., who recently stopped by while vacationing in the area. Eat good food to keep your body strong. Get a good night’s sleep, so you last all day long. Study hard to learn to keep your brain smart. And get all your shots, so sickness will not start. Always wash your hands to keep the germs away. And spend time with friends as you exercise and play. “Children are society’s future, and it is great fun to see such encouraging examples of the next generation getting into good learning and wise living,” Dr. Fischer says. Class dismissed. You can watch the students' video below. Then take part in a little show and tell by sharing your comments below and sharing this story with others using the Social Media tools above. Thank you for visiting Ms. Nyema’s class. I loved reading about your visit and interaction with our students. You can tell by the video and letters that our students really took your visit to heart! Thank you to Ms. Nyema for opening up her classroom in an effort to teach her students about healthy choices and actions. This was a great piece to spread your message!